Our review and rating: Virtually colorless, this wine has a strong aroma of citrus zest. It is exceptionally tart on the palate, with distinctive flavors of lime and grapefruit. Additional acidity develops into the finish which is lengthy but is otherwise undistinguished. 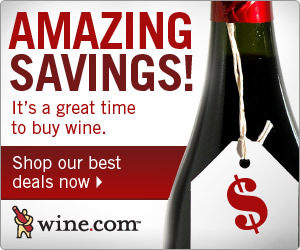 Our score: This is an inexpensive wine and, unfortunately, tastes like one. Not dreadful, but definitely Below Average. 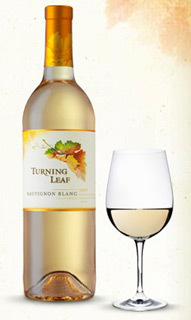 We rated the Turning Leaf Reserve Sauvignon Blanc 2006 Average. Taste profile from the winemaker: "With aromas of fresh citrus-like lemon and lime, and subtle hints of grapefruit. Serve chilled, with a creamy potato-leek soup or an easy pasta tossed with cream sauce-or enjoy with almost any light Sunday brunch." Winery website: E & J Gallo / Turning Leaf.